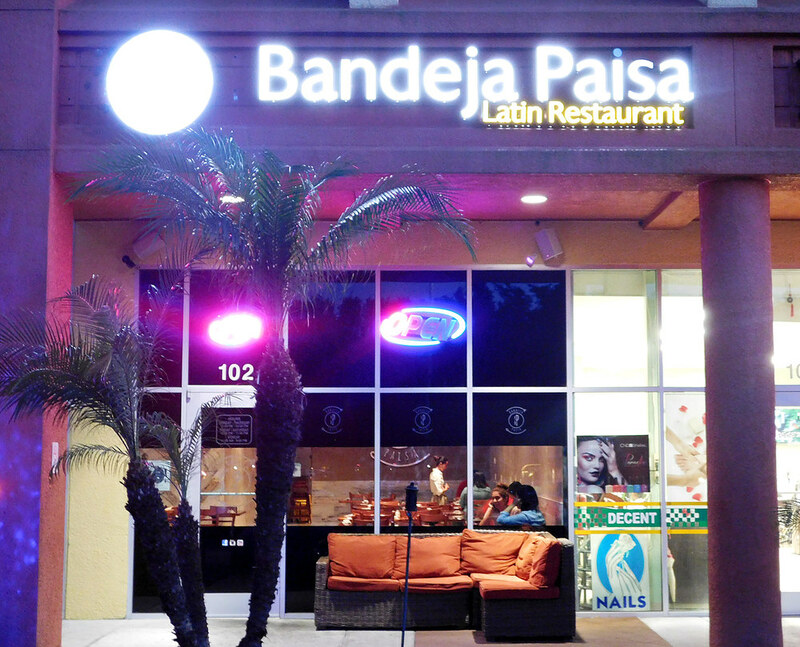 is a Latin Restaurant located in the Hunter's Creek area of Orlando. Minutes from major attractions such as Disney world, Sea world and Universal studios. 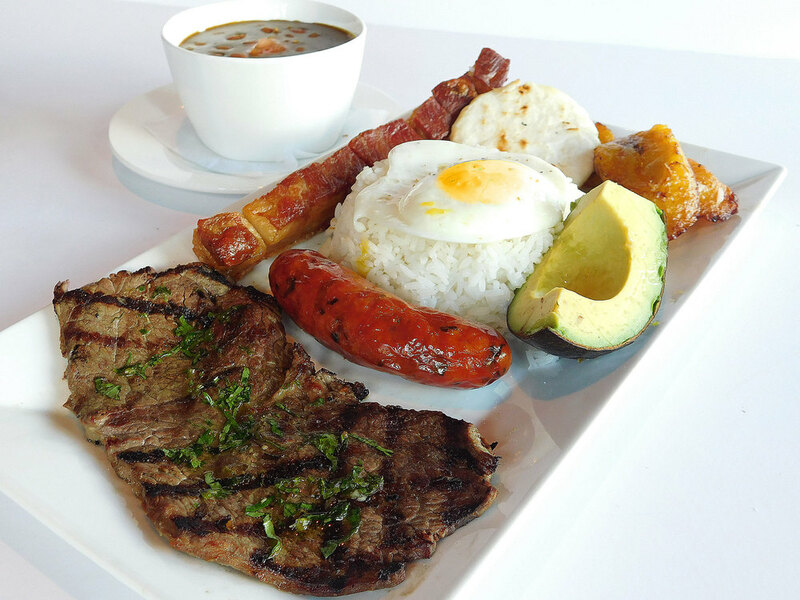 Specializing in Latin cuisine, Bandeja Paisa brings a modern aesthetic to traditional Spanish food. Consistently striking an elegant balance between taste, nutrition and presentation. "My City Eats award winner, three years in a row for best Latin Restaurant in Orlando"
We pride ourselves on the tradition of making each guest feel like they're home. If you're ever in the neighborhood stop by; you’re always welcome. Invite some friends and bring your appetites, we'll make sure you leave satisfied. Tender smoked baby back ribs tossed in a savory tropical maracuya barbecue sauce. Hand crafted South American style beef patties. Crispy plantain medallions served with a guacamole picadillo and authentic Spanish suero sauce. Baked Andean yellow potatoes and Chorizo (Spanish smoked sausage) medallions. Yellow Corn dough stuffed with fresh cheese. Fried cassava batonnets, served with a garlic and leek aioli and authentic Spanish suero sauce. A healthy selection of mixed greens, fresh roasted vegetables and moist grilled chicken. A healthy selection of mixed greens and fresh roasted vegetables with quinoa and salmon. Shrimp, red onions and cilantro bathed in a rocoto based Leche de Tigre. A mix of shrimp, calamari, scallops and corvina bathed in Leche de Tigre. Salivate over a Sauteed julienned skirt steak, covered in fire roasted peppers, onions, tomatoes and pomme frites. 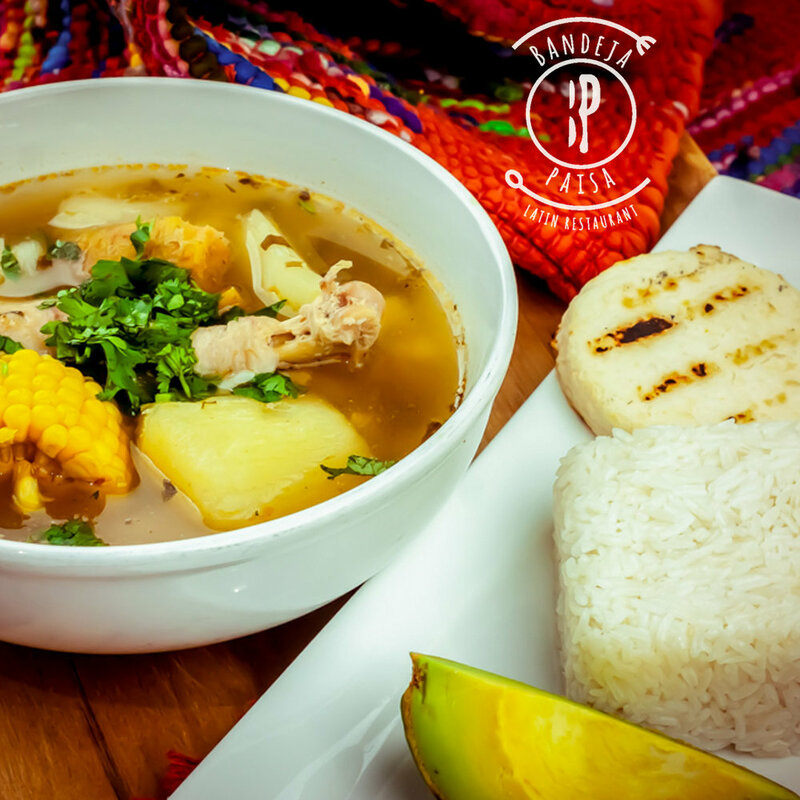 A rich cassoulet of native Colombian cargamanto beans, corn, potato matchsticks and tender pork tidbits. A Juicy 12 oz pork chop hand breaded and deep fried Colombian style served with rice and sweet plantains. Sink your teeth into a perfectly char-grilled 10oz. cut of skirt steak, drizzled with our signature chimichurri sauce. Delight in our delicately crafted whole boneless Chicken breast, coated in a delicious and creamy sauce, hand breaded and then deep-fried. Enjoy our marinated char-grilled beef served with rice, sweet plantains and a small salad. Enjoy our marinated char-grilled chicken served with rice, sweet plantains and a small salad. Our tender and incredibly moist salmon is grilled on a wine soaked cedar plank, infusing it with an intricately woodsy flavor. Healthy and tasty, truly the best of both worlds. Try our fine selection of shrimp cooked in a savory garlic and leek aioli sauce. A finely seasoned, battered & fried whole Red Snapper served with rice, plantains & salad. A delicious and decadent three milk sponge cake. Call (407) 704–7888 from 11:30 pm– 8 pm daily. We value our guest like family, so please let us know how we're doing. Don't hesitate to contact us with any inquiries or concerns.